Rakesh Jhunjhunwala, the Badshah of Dalal Street, follows a simple investment philosophy: Water the flowers & Cut the Weeds. What this means is that the Badshah does a periodic review and buys more of his winning stocks while throwing out the non-performers from the hallowed portfolio. So, which stocks have been rewarded and which have been punished by the Badshah of Dalal Street? Business Standard has done some fine detective work and discovered that Rakesh Jhunjhunwala bought 71,000 shares of Titan Industries in July-September 2012. His total holdings in Titan Industries is 8.86 crore shares valued at a staggering Rs 2,471.52 crore as on 30th September 2012. Rallis India also got rewarded by the Oracle of Mumbai. Rakesh Jhunjhunwala’s holding in Rallis increased to 1.76 crore shares from 1.74 crore shares and his holding is now worth Rs 240 crores. Agro Tech Foods is also lucky to be one of the chosen stocks. The Badshah bought 2.75 lakh shares and his holding has gone up from 14.53 lakh shares to 17.28 lakh shares. 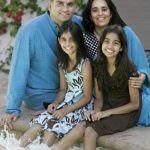 Geometric is well known for the confidence that Rakesh Jhunjhunwala has imposed on it, though whether it has lived up to that expectation is another matter. His holding in Geometric now stands at 19.39 per cent and is worth Rs 140 crore. 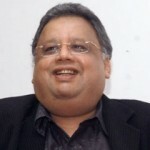 However, some stocks have had to bear the brunt of Rakesh Jhunjhunwala’s fury for their continuous under-performance. Even the Badshah’s patience has its limits. A surprising entrant in the list of under-performers is CRISIL, which was at one time Rakesh Jhunjhunwala’s favourite stock. He called its business a “halwa” for the ease with which it made money. However, CRISIL has been beset with some performance issues in the past which the Badshah has not liked. So, he has pruned his holding by 1 lakh shares. Of course, his current holding of 54 lakh shares is still worth a staggering Rs 523 crores, which means that the Badshah still has a soft spot for CRISIL. 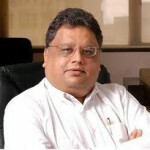 Praj Industries was the other candidate in the execution chamber which suffered the ignominy of being called an under-performer by Rakesh Jhunjhunwala. The Badshah dumped 15 lakh shares of Praj. 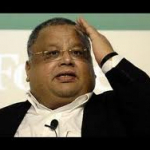 Of course, Praj’s stellar contribution to Rakesh Jhunjhunwala’s billions cannot be denied and that is why the Badshah has still retained 1.5 crore shares valued at Rs 72 crore. As we had earlier reported, the Badshah has already declared that by 2013, he will have a lean and mean portfolio consisting of only 7-8 stocks. So, all his stocks have been put on notice that they have to perform or perish. The Badshah will simply not tolerate any under-performance by his stocks after 2013.